Zane Carney is back in Paris to host a second masterclass during his 2015 european tour. Last year edition was a huge success so we decided to do it again this year. By the way you can watch the full 2 hour recording in HD of last year masterclass with the Backstage Pass. 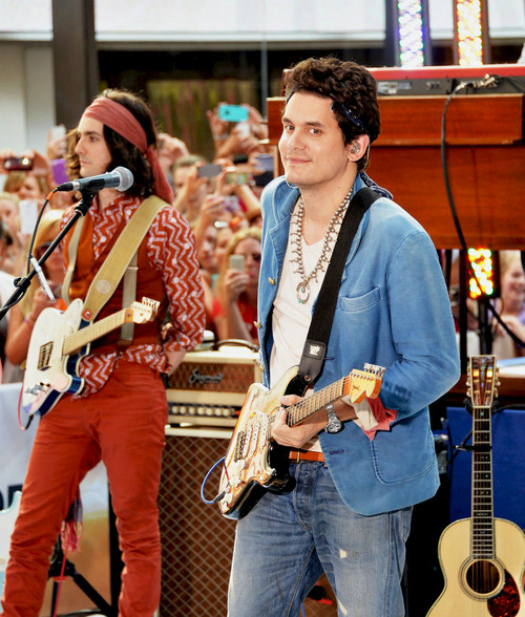 Zane is a guitarist who has been with John Mayer for a while and also pursuing his own solo career. With a huge background in Jazz, his knowledge of music is enormous. This allows him to approach with great brio a lot of music styles. You don't need to bring your guitar as during the masterclass Zane will share lots of information and play music rather than showing some licks. The evening will take place at Guitars Addicts (98 Rue du Chemin Vert, 75011 Paris - Metro Père Lachaise) a unique guitar store in Paris held by the spirited Georges Haymann. The masterclass was a huge hit for all the people who came for a great guitar night.